TMG gets yet another upgrade in terms of recording gear. With Arlie's Elgato Game Capture HD and his newly acquired PS4, I also level up with a new capture device. 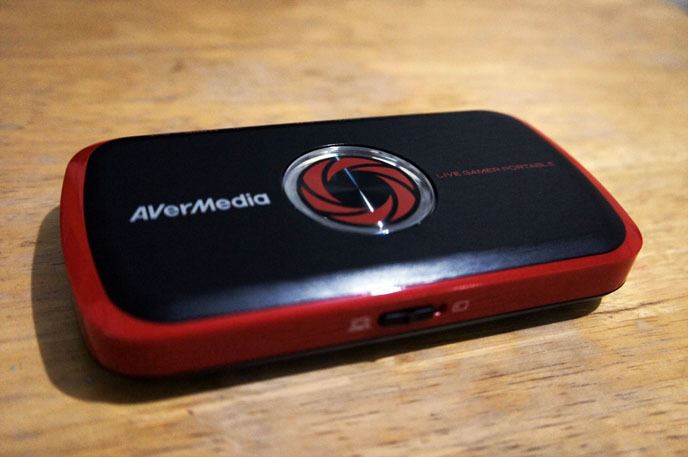 The AverMedia Live Gamer Portable. This cute little device is about the size of an iPhone and can record footage with or without a computer. When connected to a PC, you can record footage using RECentral (in either TS or mp4 format) or directly use the device on streaming software such as Xsplit or Open Broadcaster Software. When not connected to a PC, it can also record footage by storing it in a class 10 SDHC card (only records in TS format in this mode). Thanks to Den for hooking me up with this new capture device. The box it came in is hella fancy and contained quite a bit of accessories given it's size. Included with the AverMedia Live Gamer Portable device is a PS3 SCART cable, a component AV adapter, a line in cable, a USB (male) to USB mini (male) cable, a very short HDMI cable, and a zippered carrying pouch, an instruction sheet, and finally a voucher for a 3-month licence for Xsplit. Here's a screenshot taken using the AverMedia Live Gamer Portable through RECentral. Here are some test videos I recorded using the AverMedia Live Gamer Portable in both RECentral and in PC-free mode. Recorded using PC-free mode on a 16gig SDHC card Resolution: 1080p Frame Rate: 60fps Format: TS converted to mp4 PC screen setup (dual monitors) set to "Extend Displays". Recorded using PC-free mode on a class 10 16gig SDHC card Resolution: 720p Frame Rate: 60fps Format: TS converted to mp4 PC screen setup (single monitor) set to "Duplicate Displays". By the way, you can find Arlie streaming live on our Twitch.tv channel so follow us there if you want to catch the streams.